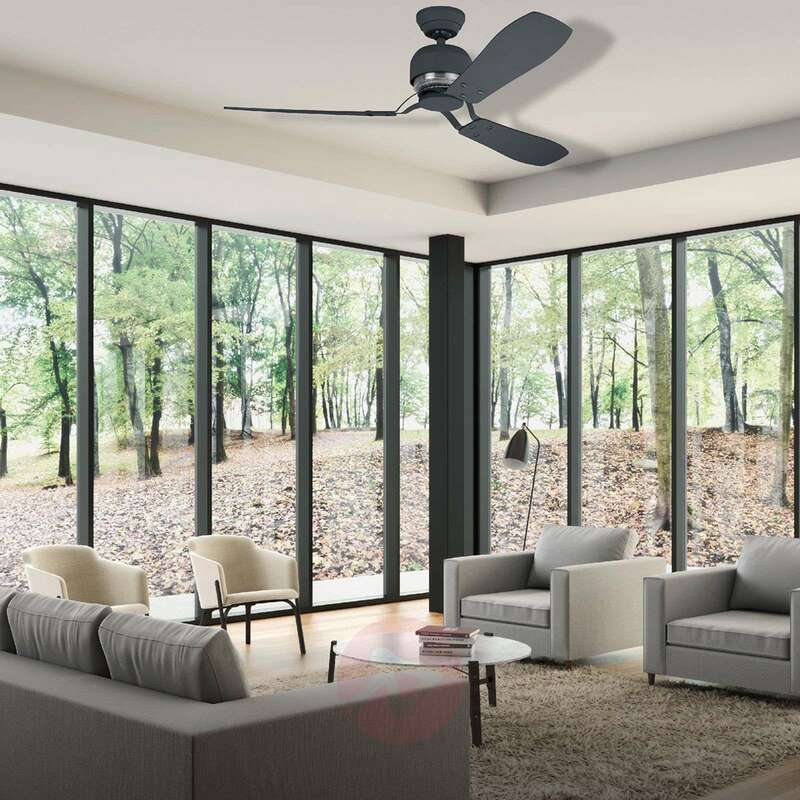 Perfect for all interior design styles with an industrial influence - the modern ceiling fan Industrie II. Its minimalist appearance is supplemented by a very good functionality. The three blades, which are made of real wood, can be installed on either side and show an elegant chestnut wood, in addition to the elegant graphite black. With a practical forward and reverse rotation function which allows you to switch conveniently from a cooling summer mode to a heat-circulating winter mode. This function also allows you to make heating cost savings of up to 30 % during the heating period. 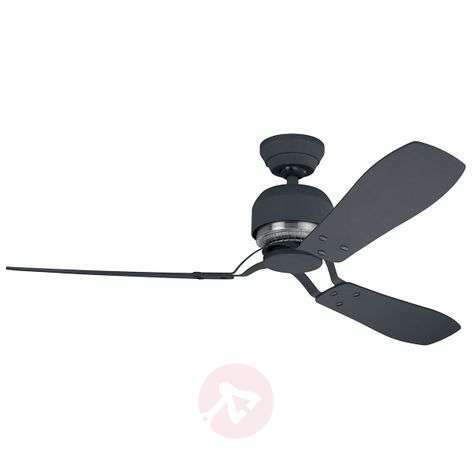 The ceiling fan is controlled by an included wall switch, which can control the speed across three different levels, as well as turning the fan on and off. It can optionally be retrofitted with a remote control. The appropriate model can be purchased as an accessory. Also suitable for installation on sloped ceilings and in rooms with a low ceiling. The ceiling fan Industrie II is already prepared for the attachment of a suitable light and can, therefore, be easily upgraded. The appropriate model can be purchased as an accessory.